Mladen Mladenov was elected as the new chairman of the George Marshall Association Bulgaria in July 2016. Mladen has professional experience both from Bulgaria as a civil servant at the NATO Unit of the Ministry of Defence and abroad at the European and German Parliaments and the European Security Round Table among others. Currently, he represents the External Action Service of the European Union in the Republic of Panama, where he has taken up the responsibilities of a Deputy Chief of Mission. In his activities as a researcher, Mladen examines foreign policies and state-building in the Western Balkans and assumes teaching duties at the University of Passau, Germany. 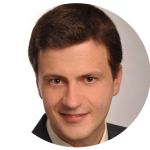 Mladen holds Bachelor and Master of Science and Master of Arts degrees in International Economics and International Relations and Development from the Netherlands and Germany, where he studied with a scholarship of the talent program of the Konrad Adenauer Foundation. He is fluent in English, German, French and Spanish. 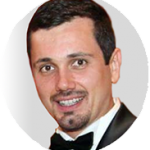 Stoyko Petrov was elected as a member of the Management Board of the George C. Marshall Association Bulgaria in July 2016 and at that moment he is the Association acting chairman. Stoyko has professional experience as a civil servant at the Project Management Directorate at the Ministry of Defence of the Republic of Bulgaria. He has actively worked on the implementation of a new system of regulations concerning the Project Portfolio Management and on developing the internal regulations to implement the project management approach by using the method PRINCE2® – “PRojects IN Controlled Environments”. His professional experience abroad is as a National Representative at Horizon 2020 Secure Societies Programme Committee Member, European Commission. He graduated with honours his Bachelor’s and Master’s degree in Defence and Security Economics at the University of National and World Economy in Sofia, Bulgaria.